We would like to announce that Lake Erie Toolworks is now offering free shipping to our United States Customers on all orders over $100 and also a $15 discount on all International Customer orders over $100. Please act soon though as this free and discounted shipping offer is only for a limited time. 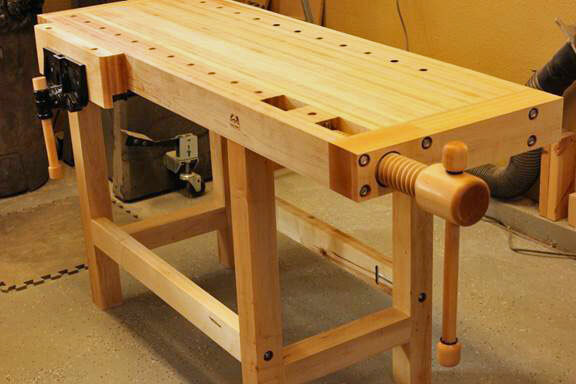 Our February 2015 Workbench of the Month comes to us from Mark D. from Larkspur, Colorado. We hope you enjoy this workbench as much as we did. 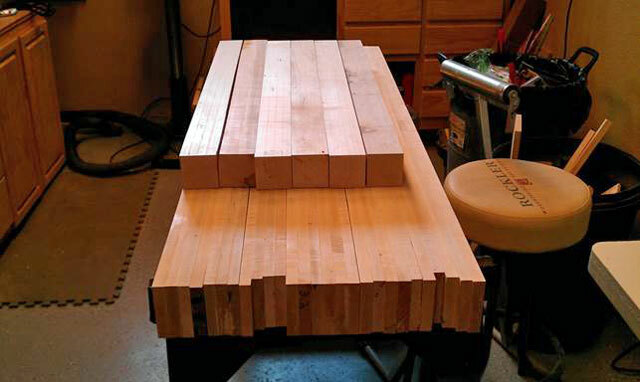 I procured the hard maple and began the milling and laminating process. 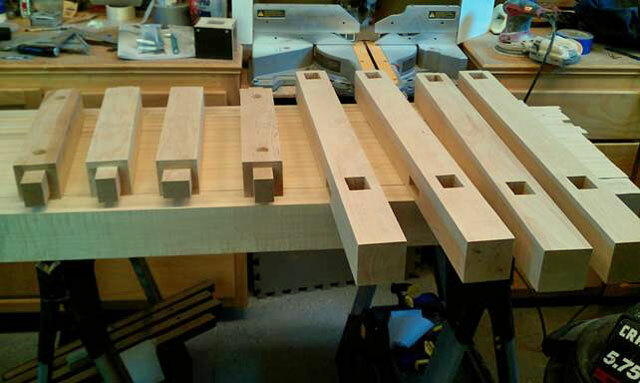 The two trestle bases are comprised of 2 3/4″ x 2 3/4″ legs with mortises to accept the tenons from the cross braces. The side stretchers are 3 1/2″ x 1 3/4″. The stretchers tenons are attached to the legs with a T-Strap bolt which is drilled through each leg. The workbench top itself is secured to the trestle legs by lag bolts from the top cross brace. These two assembly features fulfill my requirement that the bench can be disassembled. All my friends have seen me build several things over the years, but had to ask, “How did you make the wood screw? I tell people that I thought about trying it, but I went with the professionals at Lake Erie Toolworks and glad I did! The wood screw installation instructions were spot on and it works fantastic! 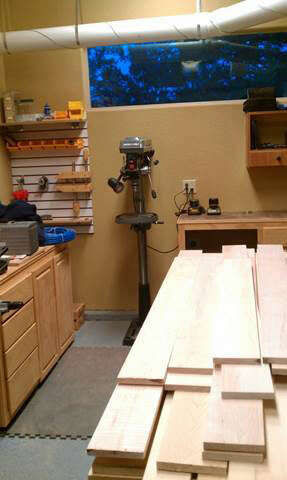 I flattened the benchtop by creating a router sled and making multiple passes. I then sanded the whole bench down and finished the workbench by rubbing on a mixture of 1/3 Boiled Linseed Oil, 1/3 Mineral Spirits and 1/3 Spar Varnish. Lastly, I finished the workbench off by putting my woodworking brand on the side of the bench. I’m glad I finally took on the task of making the workbench. I feel like some rite of passage has been achieved. I’m excited to start building some furniture and heirlooms on the latest addition to the shop. Thank you for a great product Lake Erie Toolworks!